Hey Valentine’s Day is all about the enduring power of love. This Valentine’s Day, let your beloved filled with eternal love and happiness with the timeless pieces. A touch of romance filled with eternal love with Pandora Valentine’s Collection 2014. Entwined like the love you share for one another, Pandora’s Valentine’s Collection braided sterling silver pavé ring is beautifully set with 72 sparkling cubic zirconia. The elegant design features two rows of intertwined silver, studded with dazzling white cubic zirconia stones, representing the bond that binds your love. Heart rings and earrings, hand finished from sterling silver and pavé set with sparkling stones, reference bygone romance. The collection’s statement ring is accentuated with a single heart-shaped cubic zirconia set in sparkling stones, and the pretty pavé earrings are timeless keepsakes of love and romance. This season’s sterling silver pavé ball charm is updated with the addition of new and innovative faceted heart shaped stones. 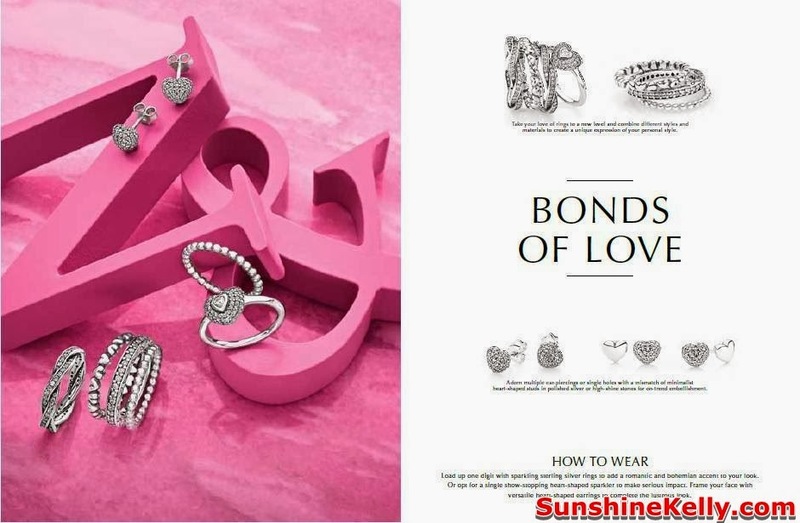 Adding a touch of romance to the popular charm, 8 heart-shaped fancy pink cubic zirconia stones are individually set by hand together with 64 white cubic zirconia stones to create a dazzling charm filled with love. From Pandora’s new Valentine’s collection, the sterling silver LOVE dangle features a single heart-shaped fancy pink cubic zirconia stone placed in the letter O. The fashionable and feminine dangle references the iconic pop art image created by American artist Robert Indiana, and when worn as a bracelet charm or necklace pendant is a lasting symbol of love and style. 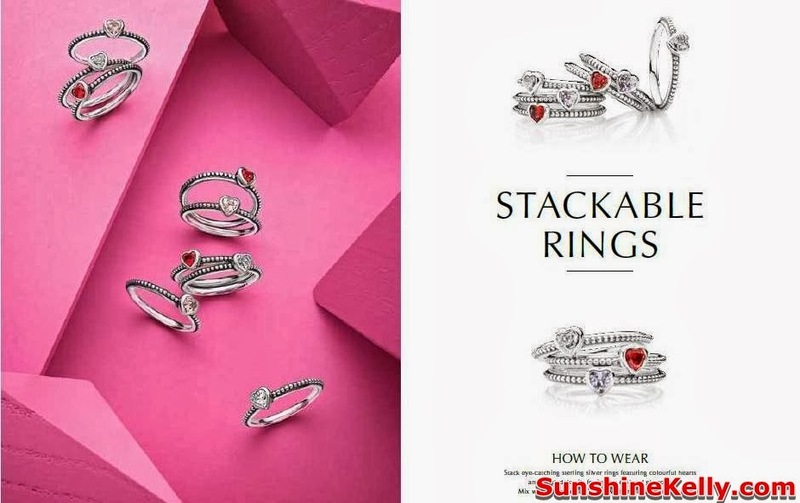 Pandora fills your fingers with pretty sterling silver rings set with new faceted heart-shaped cubic zirconia, rose pink synthetic sapphire and golden red synthetic ruby. The timeless expression of Pandora’s symbolic new rings, each with a single colourful hand-set heart and beaded details, makes the perfect gift for you or your loved one this Valentine’s. Stack multiple rings together to create your own sweet love story, or mix and match with other faceted heart jewellery for a stylish set. Shining brightly like your love, PANDORA offers a stunning series of sparkling heart-shaped charms. Hand finished pavé charms are set with eye-catching white, red or black cubic zirconia. Featuring 74 individually hand set stones, the voluptuous heart-shaped pavé charms are a lasting reminder of love, and lend a timeless touch of romance to any PANDORA bracelet. From our new Valentine’s collection, a sterling silver heart-shaped charm studded with 74 white cubic zirconia offers a more refined take on romance. Modern and refined, PANDORA’s sterling silver bangle showcases a look of polished elegance. 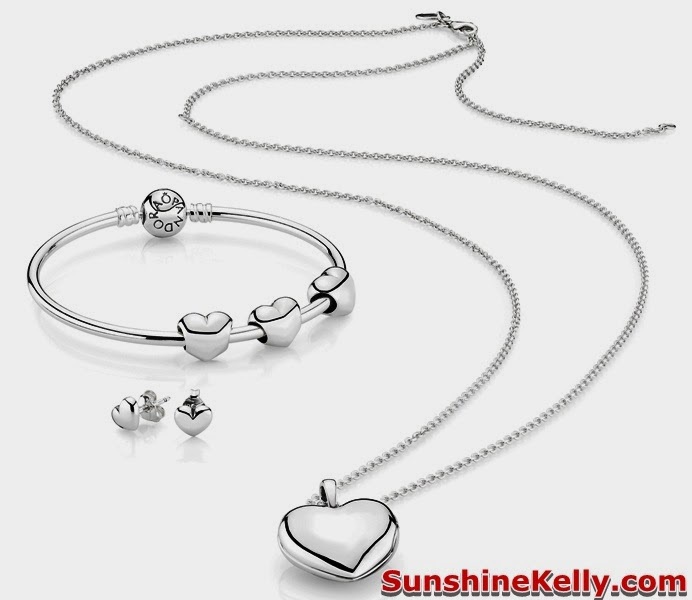 Featuring a signature PANDORA clasp, the minimalist design is both timeless and wearable. Personalize your bangle with your edit of PANDORA’s precious charms such as the expressive openwork heart charms crafted from precious metals to celebrate love, or stack alone for an effortlessly cool style statement. The collection prices are ranging from RM100 onwards. You can find them at Pandora boutique locations - Bangsar Village II, Empire Shopping Gallery, Subang, Mid Valley Megamall, Tropicana City Mall, Gurney Plaza, Penang, Setia City Mall, Shah Alam, the Paradigm Mall, Kelana Jaya, Alamanda Putrajaya, Kuala Lumpur International Airport and boutique kiosks at Pavilion Kuala Lumpur, Suria KLCC, Tangs 1 Utama and Pandora jewellery counters at the Ampang Point Habib showroom. Pandora’s East Malaysia boutiques are located at the Spring Shopping Center, Sarawak and Suria Sabah.